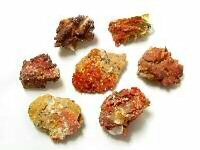 These minerals and mine rough gemstones and are used for healing, chakra balancing, or collecting. Natural Healing Crystals are some of the most beautiful and mystical energy tools, which have been used for centuries throughout all cultures and religions. Crystals can bring harmony into every home. Minerals are used for healing, meditation, chakra balancing, protection, changing bad vibrations and collecting. Crystals are used in expanding the mind to touch the spirit world. Natural Crystals contain the energy from all spiritual energies, and are used to help us to heal our energies, our bodies and learn from them with the information they retain. Stones that are used today, quartz for watches, electronics and computers, wedding rings have diamonds, and are a stone, most all the jewelry people wear is made up of stones, minerals, gems, and all of these crystals are no different than what we choose to believe in. Gemstones and Mineral Specimens are just as beautiful in their natural state. Gemstones can be more sensitive to different things, and will show you the doorway to higher mind and can promote inner calm and peace. Crystals may be large or small, size has no effect on their energy. The metaphysical properties within this section is based on information given in a number of texts and other resources such as Melody's 'Love is in the Earth', Robert Simmons and Naisha Ahsians 'The Book of Stones',Judy Halls 'Crystal Bible', and from my suppliers.